the battle, so just wait your turn. Take your cleats and socks off to get a real experience. Then take a knee. bodies in front of them, riddled with bullets from enemy fire. they were protested as well..and spit on for reasons only cowards know. into your mouth. You're on your own. what the red stripes mean. 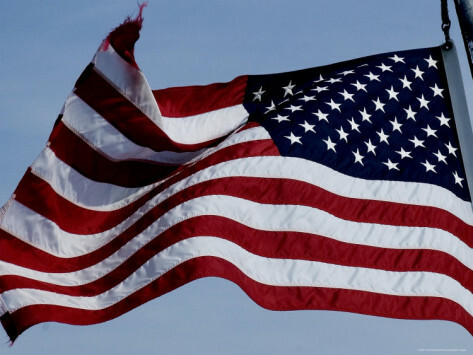 It represents the blood of those who spilled a sea of it defending your liberty. 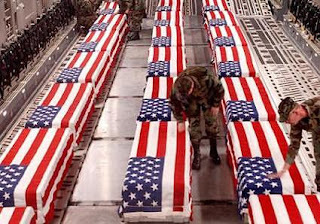 announce every inch of ground taken...but on nameless hills and bloodied beaches and sweltering forests and bitter cold mountains..
every inch marked by an American life lost serving that flag you protest. chose to harm us...blazing a path so you would have the right to "take a knee." to Him for understanding and wisdom. We'll pray for liberty and justice for all..because He is the one who provides those things. of the free and the home of the brave. It goes like this..
As a long-serving US Fleet Veteran, at least I understood full well that I swore an oath to UPHOLD the Constitution, not to crap all over its most cherished tenets. "OUR COUNTRY IS IN MOURNING, A SOLDIER DIED TODAY." There is no mention of the national anthem in the NFL rulebook. There are no pages A62 or A63, either. This has been fabricated by those who wish to suppress discussing the epidemic cases of Police Violence perpetrated on African American's and other minorities. As far as 'respecting' those who've served, we ALL swore an oath to "Uphold the Constitution". In fact, it is the foundation of military service to the country. All other principals are secondary. It's a bullspit argument and every veteran is (or should be) fully aware of their duty and the principals for which they serve. Freedom of speech is clearly the cornerstone of American Democracy. The flag and the National Anthem are merely SYMBOLS of the people's Constitution. It is not a thing unto itself. The constitution is the living will of the American citizenry. The flag code is simply a list of customs. No more, no less. It's called respect for the flag but morons like you and your lefty petunias don't get it! There is a place and time for everything! Protesting and acting like morons during the National Anthem isn't the time! So that makes you an expert on the NFL, and the Constitution. And it's Right of every American to boycott the NFL for ANY REASON Master Timbo! So keep talking Master Timbo, someone is bound to find you. There is no mention of the national anthem in the NFL rulebook. There is a place and time for everything! Protesting and acting like morons during the National Anthem isn't the time! And when IS the right time... SPECIFICALLY? It makes me expert enough to know that which all military personnel are in true service of. The same apparently can not be said about you and others. As far as the NFL goes,... I can actually read. Can you? keep talking Master Timbo, someone is bound to find you. Then "someone" better come come heavily-armed and sporting body armor! notice my sig line below? how many military personnel have lost their life so far this year? And unlike you, some of us have actually served. The fact that some DON'T make it back, is all the more important to remember that THE REASON FOR MILITARY SERVICE is to UPHOLD the US Constitution by DEFENDING it rather than INVENTING FALSE NARRATIVES such as those repeatedly made by you and others like you.